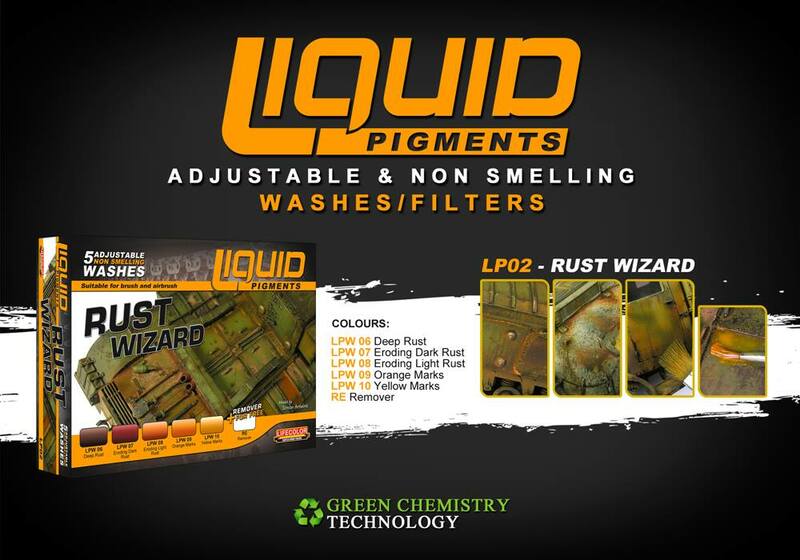 The new adjustable Green Chemistry pigments technology allows you to simulate soot traces, topsoil and rain residues. These are very easy to apply with an airbrush, brush or any other technique. This set includes 5 (22ml.) 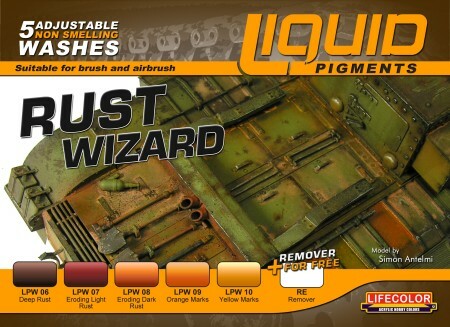 bottles of of liquid pigments: LPW 11 Rain Marks, LPW 12 Road Dust, LPW 13 Light Earth, LPW 14 Dark Rust, LPW 15 Soot and a bottle of RE remover to simulate soot traces, topsoil, rain residue. 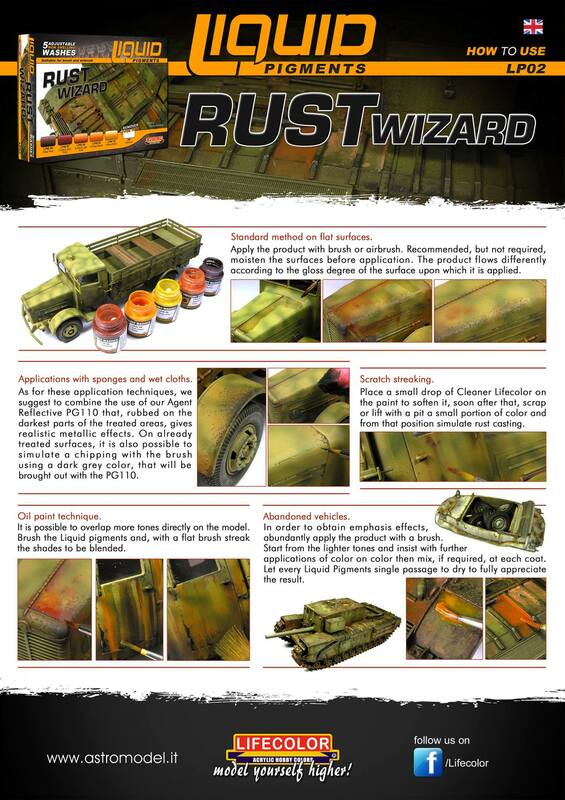 Very easy to apply either with airbrush, brush and any other technique.